Alia Bhatt is counted among the most talented actors in Bollywood currently. Only 25, but she has already displayed her versatility with working in films like Dear Zindagi, Raazi and now Gully Boy. However, she still has to live with the tag of nepotism. 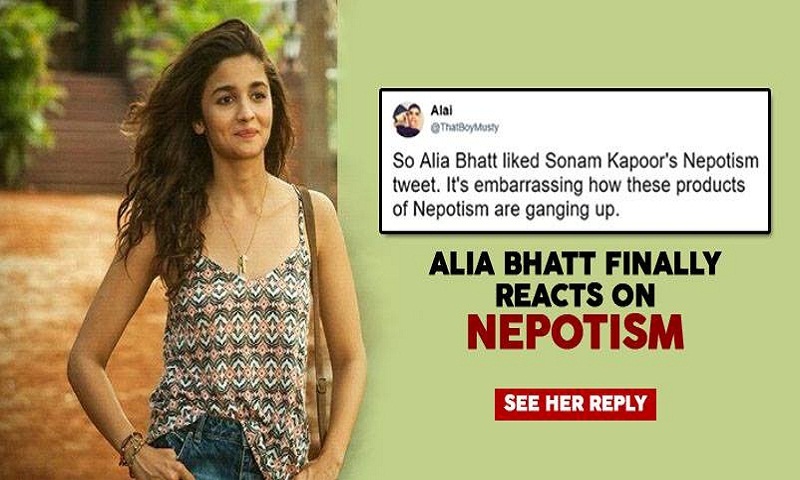 Alia was recently speaking at the Outlook Business Women of Worth (WOW) Awards 2019 where she fielded questions on nepotism and how star kids have it easy in the Hindi film industry. Speaking about it, she said that while she acknowledged that nepotism was a reality and that the lack of opportunity can be devastating. She also added that, at the end, audience had to like an actor for him or her to thrive and that involved a lot of hard work. She also said she wouldn’t be apologetic for being born into a film family. Meanwhile, at her work front, on the occasion of International Women’s Day, the first look of her character in Kalank was revealed by the makers of the film. Alia appears as a coy bride Roop in her character poster. Through Friday, the first look of characters played by Madhuri Dixit and Sonakshi Sinha were also revealed. On Thursday, the first looks of other important characters, played by Varun Dhawan, Aditya Roy Kapoor and Sanjay Dutt, were unveiled, report Hindustan Times.